Inspirational Fan. 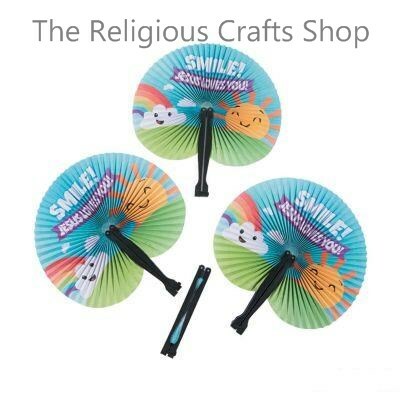 These fans are colourful and bright - they are great gifts for children at Sunday Schools. Fans measure approximately 25cm.